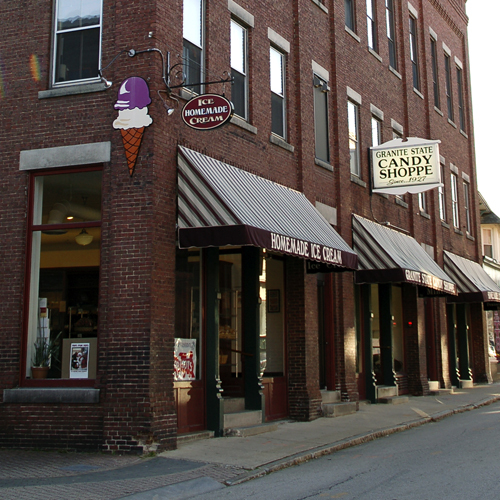 Granite State Candy Shoppe, makers of gourmet chocolates, fine confections and super premium homemade ice cream Since 1927 - Specializing in boxed chocolates ideal for gift giving or your annual corporate premium. For more than 80 years we have been hand crafting delicious chocolates, roasted nuts, made from scratch fudge and buttery nut brittles. Now offering our full line of chocolates in both packaged gift boxes, perfect for a gift basket line or in bulk for sale in your showcases. No other New Hampshire chocolate maker offers as wide a selection of both packaged and bulk chocolates at the wholesale level. Call for a complete wholesale product catalog.